A few years ago, my uncle gave me his SNES with a few games. One of them, was a boxed version of Lufia II – Rise of the Sinistrals. After some research, I realized that my copy of the game is rather rare in a way. The cartridges of the game go on eBay for 80€ and up, but the catch is, I have a Dutch version. Since there aren’t too many Dutch speaking people in the world, less cartridges are produced so making the game even more rare. But hey, I don’t think that every collector wants to own a cartridge of a game in a different language they might not understand while there is a version available in their native language. In any case, let’s take a look at this game. Is it even worth that price now or should you pass on it? Here are my impressions after the first few hours of gameplay. Also, feel free to leave a comment with your opinion on the game and/or the article. Sidenote: while I know that this game got a remake called Lufia: Curse of the Sinistrals on the DS, in this article I’m focusing on the SNES game; simply because I don’t own the remake and haven’t played it. When you start this game, your first mission is “The Training Dungeon”. In this training dungeon, you get the basic explanation of the game mechanics. But more on that later, first let’s talk about the story of this game. This game tells the story of how the Sinistrals came to be. Now, this sequel tells a prequel story. But here is the annoying thing, the original game never reached European shores. To make matters even more confusing, they dropped the II from the title here in Europe. Yeah. So far, the story and writing is very enjoyable. The only complaint is that the Dutch translation feels so out of place. Which is normal, since I’m so used to the English names of items and suddenly seeing them in my native language sounds so foreign to me. But, I haven’t gotten too far in the story, so I will leave that for when I review the game. But something I really enjoy from the writing is the fact that NPC’s react differently depending on the story. Even when little events happen like somebody cooking some bad food. This gives the game a more alive feeling and I think that’s a serious plus in my books. If you would start playing this game, beware of the glitches. Due to the rushed localization, there are a lot of strange bugs and some are save corrupting. This happened to me once and I lost my save and had to start over. Take a good read to avoid bugs before you start playing. So this game has random no random encounters. I mean with that the game has random encounters and no random encounters. When you are on the overworld, the game has random encounters. But in the dungeons, you don’t have any random encounters. The meat of the game is mostly in the dungeons. In these places, you can also use your skills. A very useful skill is the Reset Spell. With this spell, you can reset a room to its original position. So, if you screwed up a puzzle, you can reset the room without having to leave it. And this doesn’t cost any mana. This game is a blast to play. This game is a typical RPG when it comes to battles and exploration. But, it has various elements of The Legend Of Zelda sprinkled in. The gameplay in the dungeons reminded me so much of the Zelda games. If you want to form a picture, think of the Zelda dungeons but instead of beating enemies when they are on screen, you have a RPG-battle screen. A very useful feature is that you see on your screen how much EXP you still before your level raises by one after you defeated an enemy. It also shows your goal total. The only thing I don’t really like about the battle screen is that in sometimes the health bar and such are simply bars and you don’t see how much health or mana you have left. I’ll go more in-depth about the gameplay when I have beaten this game and when I write a review of this game. It’s a lot of fun and with great controls, you can’t go wrong. 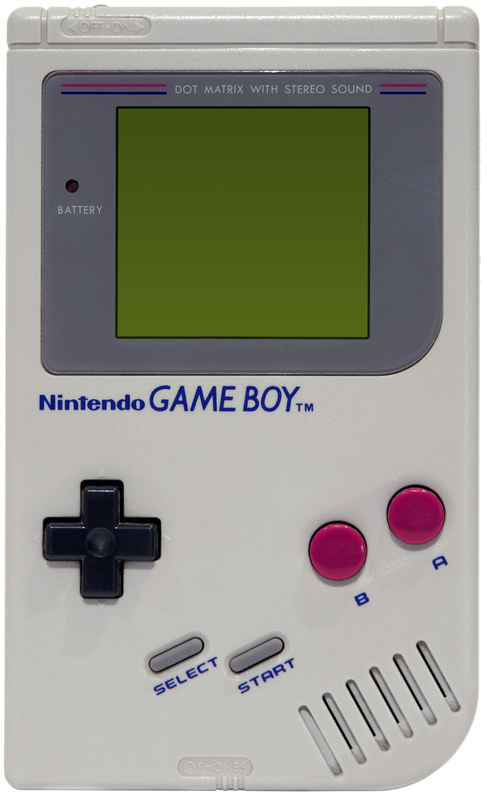 The only thing I would have changed about the controls is the “X” button. This button is used as the menu button, but I think that the Start button would have been a much better choice for this. If you would start talking about the best 16-bit RPG soundtracks, a lot of Square and Enix RPG’s would be mentioned. I honestly think that the soundtrack of this game should be mentioned in those kind of talks. The soundtrack of this game is amazing. It’s one of the best soundtracks I have heard on the system in my opinion. And believe me, various tracks got stuck in my head even when I had put the game down for a while. Visually, this game looks amazing. I love the details in the dungeons and the animation is great as well. The artwork for this game is impressive and colorful. This game is well balanced. There isn’t too much grinding in this game. And honestly, I don’t mind the grinding too much in this game. Something I really like is that you have save platforms right before you go into a room with a boss. I really appreciate that since that way I don’t have to do a whole dungeon over again when I die at the boss. Speaking about saving, that’s one of the only things I don’t really like about this game. You can only save at save points like a church or on save points in dungeons. But, honestly, that’s nitpicking. No? That’s everything I wanted to say about this game. So far, I’m enjoying myself a whole lot with this game and I can only praise this game. If you look at other reviews of this game, you will read the same praise. And believe me, this game is worth a lot of praise. 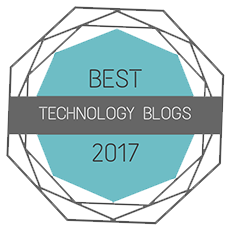 Thank you for reading this article! I hope you enjoyed reading this article as much as I enjoyed writing this. I hope to be able to welcome you in another article on my blog but until then, have a great rest of your day and take care! 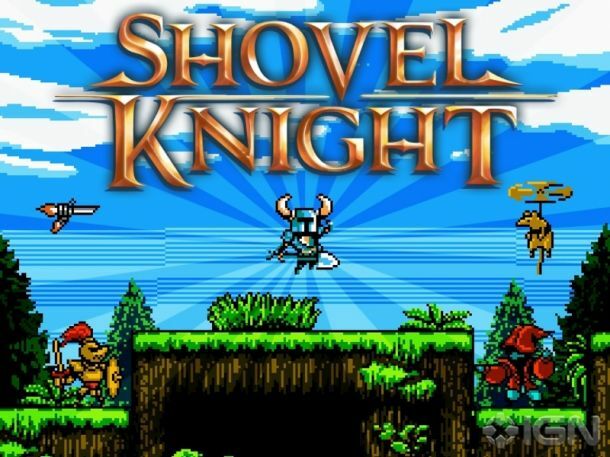 This entry was posted in First Impression and tagged arpegi, best, cheap, classic, curse, doom, ds, dutch, Europe, first, fortress, game, II, impression, information, jea, Jonez, jonez001, jonezjea, lufia, more, natsume, neko, NekoJonez, Nintendo, no, Of, please, rare, remake, review, rise, RPG, save, sinistrals, SNES, some, soundtrack, super, The, version on July 14, 2017 by NekoJonez. Today I want to talk about a game I started playing in my holidays on the PS2. 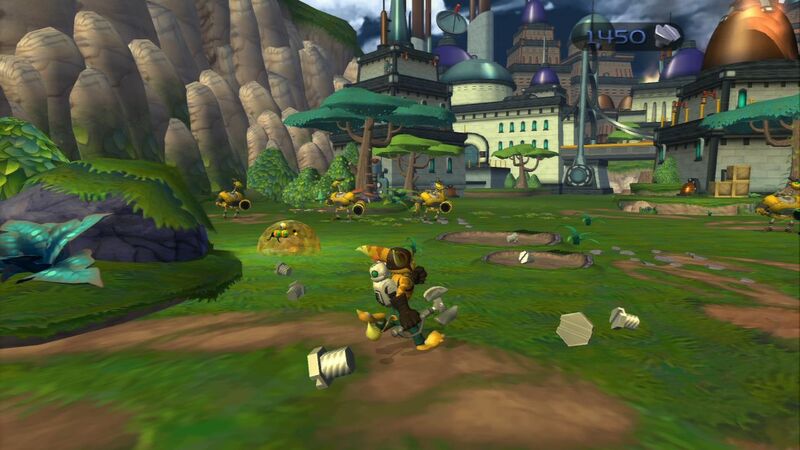 The name is Ratchet & Clank and I’m playing it on PS2. I realize that with the recently released movie, there is a new game on PS4. But I haven’t seen the movie (yet), I don’t have a PS4 and I don’t own the PS4 game either. So yeah. 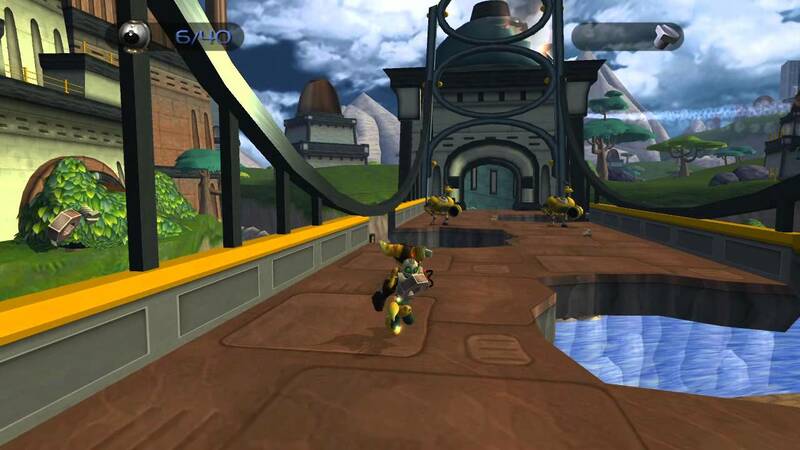 In any case, it’s time to take a look at Ratchet & Clank on the PS2. A game I bought at a garage sale. At that same garage sale, I also bought the third game in the series. Sadly enough, I was unable to buy the second one. But, that game is on my “to look out for” list. And I’m quite sure I’ll find it in the near future. In any case, enough stalling. 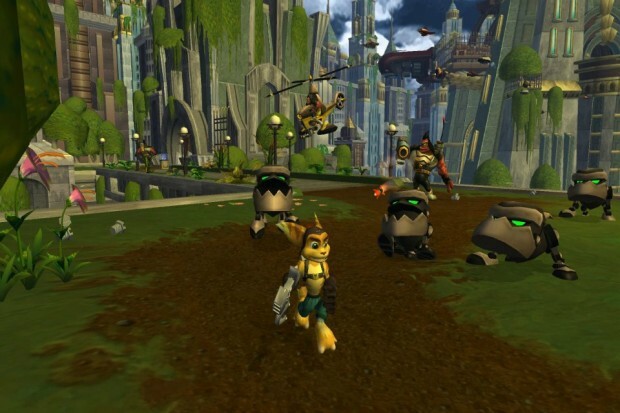 It’s time to talk about Ratchet and Clank. A game I haven’t finished … yet. In any case, feel free to leave a comment with your opinion on the content of this article and/or the game. If you read my blog from or when you know me personally, you might know that I’m a big fan of stories in my games. While I do enjoy the characters and the jokes that are thrown around, I feel that the story is taking a backseat to the gameplay. Honestly, the story doesn’t 100% click with me. I think the biggest problem is that the story doesn’t really help build the world and atmosphere. When I play sci-fi games, I want the story to explain how certain things work. But so far, nothing is really explained enough in-depth. Yet, there is some techno-jargon that gets thrown around. Take for example an “infobot”. From what I can gather, it’s a sort of advertisement billboard, but I have seen it play recordings of people’s video calls. And what didn’t help is the fact that some infobots have coordinates of where some people are. So, what’s the purpose of an infobot? That left me very confused. So yeah, while I do enjoy the interaction with the characters and the actual plot of the game, I feel that there is so much lost potential with the story. I felt that the focus was too much on the characters and not enough on the world that they created. The voice acting of this game helps to bring the characters alive. The jokes of a naive robot Clank work so well in the robot voice. It feels real and genuine. So, in conclusion about the story, I’m in the middle. Like I said earlier, I do like it, but I feel that they could have gone more in-depth with it. Also, some characters are underused. Like the Captian Qwark figure. He looks like an extremely popular marketing thing, but I have only seen him on one island. So yeah. It surprises me how I managed to fall in love with the gameplay of this game. 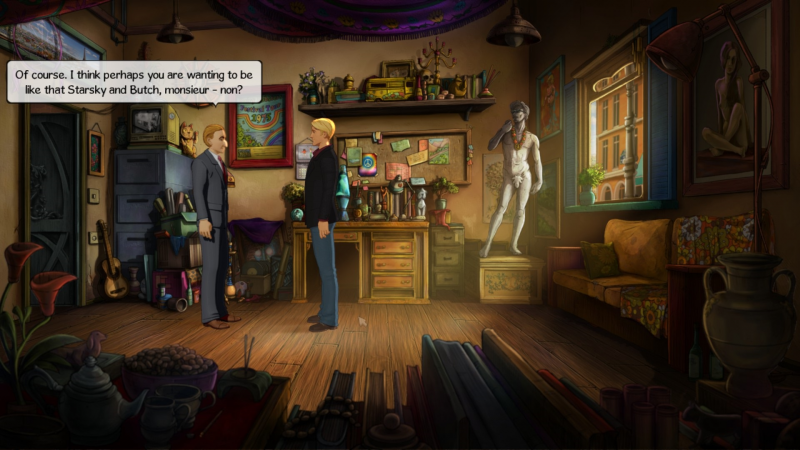 Usually, I play adventure games like Broken Sword and Monkey Island. I even said in some articles that I don’t like platformers. But this game is something really different. In this game, you have to travel to various planets to finish missions. But here is the thing. On two planets, I managed to miss secondary pathways that lead to other objectives. While this could lead to frustrating “find the right way” gameplay, I love that the map shows in yellow the places you have visited already. Too bad that it also shows a “?” mark exactly where a trigger for an objective is. I have one problem with the gameplay that made me put the game down for a while. That are the respawn points. When you fail a jump or die, you sometimes respawn way too far. One time I was on the other side of the planet., and I misjudged a jump. When I respawned, I was back at the start, which was on the other side of the planet. Also, I find it an interesting mechanic that the boxes and enemies only respawn when you leave the planet. Apart from one exception though and that is when you have a mission where you need to kill for example all sand sharks. Maybe it might be just me, but the hit detection is sometimes a bit strange. I have seen several times where I was sure I was hit but didn’t lose health. A minor thing I would have changed is that I would have made the health always visible. There have been moments where I though I had more or less life and misjudged a situation. But then again, you can see it easily when you press a button. The controls of this game are really good. The only thing I felt could use some polish was the grabbing of platforms. That didn’t always work for me. What I really liked is that this game didn’t force the tutorial on me. When you get a new gadget or a new item to play around with, the game briefly explains how it works and you can read it again in the menu. Also, you are able to shut off the help feature completely. I haven’t tested if the help section then still updates or what happens if you use a weapon where the explanation hasn’t popped up for it yet. Something that would have improved this game is a sort of indication from where you are hit. I felt cheated when I died because an enemy was attacking me from behind. Speaking of which, some enemies are quite stupid. When you aren’t in range, you can easily kill them with bombs and not having them chase you. The manual aiming of the special weapons is a big issue for me. I think I’m too spoiled by playing games with a mouse or a Wii Remote. It’s really clunky on a controller. Thankfully, there is a sort of auto-aim feature that works really well. A big plus in this game is that you are free to explore the game at your own pace. Sometimes you have two different objectives and you choose on which one you focus first. The sound design and the music are pretty decent. I would have changed one thing around to make it a bit better. I would have given the enemies a bit more sound effects. Now, they can sometimes be soulless. It feels like they don’t have a personality. What I mean here is that, in other games you can easily hear if the enemy is a weak or a strong enemy. That isn’t too clear in this game. The soundtrack of this game is really fun to listen too. While I feel that the soundtrack doesn’t always fit the world or presentation like a glove, it gets the job done pretty well and it’s a joy to listen too from time to time. Speaking about the presentation, that’s something I really have to praise this game. I feel that the level design is extremely well done. From what I have seen so far, this game provides moments of action and then moments of rest. This game is a platformer at hart, but it changes things up here and there with some mini-games. Graphically, this world aged pretty well in my opinion. I love how some things are animated in the background and how ships fly around while you are exploring the world. 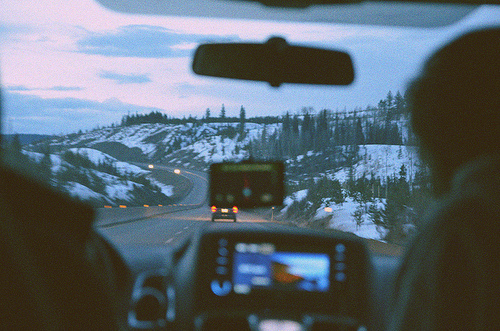 It makes the world come alive that much more. I think I have everything I wanted to say about this game for now. There are a few things I want to talk about, but I’m going to leave them for the review. When I have to give my opinion on this game: it’s a really good game but it lacks some polish. It’s an amazing platformer that made me come back for more several times. Anyways, I hope you enjoyed reading this article as much as I enjoyed writing this. I hope to be able to welcome you in another article and until then… Have a great rest of your day and take care! This entry was posted in First Impression and tagged 001, 1, 2002, aim, and, arpegi, auto, blog, buttonsmashers, clank, effects, Europe, first, free, game, games, gaming, get, how, impression, insomiac, instructions, jea, Jonez, jonez001, jonezjea, meta, neko, NekoJonez, not, one, original, Platformer, ps2, PS3, qwark, ratchet, remake, review, score, slingshot, sony, sound, spoiler, sypro, The, To, triology, walkthrough on July 30, 2016 by NekoJonez. Some time ago, I wrote a first impression on this game. I know it has been way too long, but I finally finished this game. So, the readers who know me; know what that means! No need to shout an objection! Is it actually good or is it bad? Keep in mind, this game isn’t officially in English. I played a fan translated English rom. If you want to play this game as well, I won’t help you finding it. Piracy is something I don’t want to promote. In any case, let’s get this trail started! And as usual, feel free to leave a comment with your opinion on the game and or the content of this article. Would it be wise of me to talk about the story when it’s translated by fans? I think it’s actually quite fair to do so. After all, the English players will most likely play this game using the patched rom. Like I (should have) said earlier, I won’t provide information on how to get it. The characters are quite memorable and they have a nice personality. Some old characters return and a few new ones are introduced. In Ace Attorney 5 – Dual Destinies, the actual character development happens mostly in the 5th and last case. But in this game, the character development happens in every case. More then in the 5th game. Every case was fun to play through. At certain moments, it was tough to keep track of everything since the final case actually somewhat connects to the previous four. If you would play this game, either play it in one go or take notes so you can remember. Otherwise some parts of the story actually get a bit lost. What really surprised me is that they actually replaced the Japanese voices with the English voices. The voice acting of Miles was simple to get I assume. Just from the previous Miles Edgeworth game. But for the other actors, well, congrats. You did an amazing job. The quality of the voices is also extremely well done. Almost as if they were made in a professional studio. Gameplay wise, this game is almost the same as in the original. There is one addition, which is logic chess. This is a sort of logic battle where to try and get information out of somebody. It’s more fast paced and it’s the only thing that is timed in the game. Compare it to Phoenix Wright’s breaking of psyche locks or Apollo’s bracelet. The good thing is that it’s well used, but not overused in the game. Truth to be told, it are the most challenging parts in the game in my opinion. A scoop of a story. Alright, visually this game is what you would expect from an Ace Attorney game. Nicely crafted visuals. Again, thank you to the translation team to actually put in the effort to photoshop the art and make it in English. The game is nice to look at. It makes the game that more memorable. Animation-wise, this game is one of my favorites. While I know for a fact, some things won’t be possible in the real world, the creative approach that the designers took payed off. It really makes the game pop a bit more. It also felt a bit more alive and polished. The controls, well, if you have problems or complaints in the previous game… They will be here too. If you got used to them, you will feel right at home here. They are responsive and I have nothing to complain about. Only one minor thing and that is in the translation, some controls get explained a bit too late. But that’s only a very minor nitpick. The music and sound effects, well, they are in my opinion, the weakest link in this game. Don’t get me wrong, it is enjoyable music. But when I’m listening to music from the series, I rarely to go the soundtrack of this game. It just doesn’t want to stick with me enough like with the previous games. The sound effects add to the atmosphere and none stood out as a sore thumb. No creativity anymore for subtitles. Length wise, this game hits that rare butter zone. Apart from the 5th case which was a bit too long, I have no complaints about the length. Until now, I have been praising this game. And in the end, apart from some minor text issues with the translation like the text that sometimes not appears when you load your game or open your DS or that you can already skip most of the dialogue that you haven’t read… Those issues might all get fixed when the patch isn’t in beta anymore. 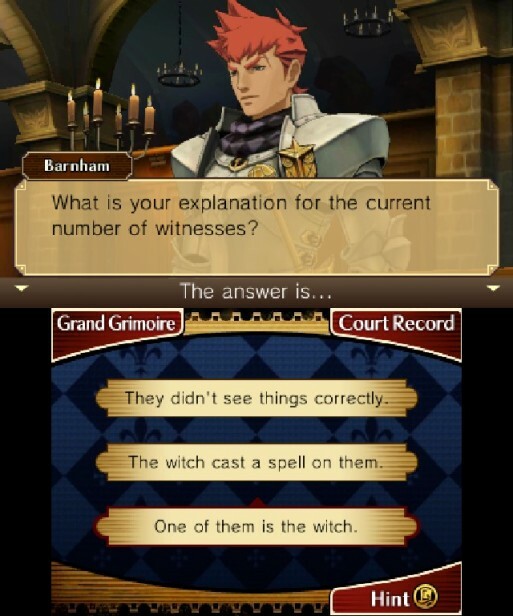 The game is a bit on the easy side if you played a lot of Ace Attorney games. Even then, I got stuck on some parts and rethink everything. I could try the “save and try out everything technique” but that’s lame. If you find things out by yourself, its way more rewarding. Before I go to my conclusion, I think the translation team did an amazing job. I would like to thank them for the amazing translation they did. They also added their names in to the credits. Which is a really nice touch. If you know how to patch roms and find translations online, I really recommend patching this game to English and playing it. Hopefully, Capcom never does this again with any Ace Attorney game. In any case… I think I have said everything I wanted to say about this game. So, let’s go right on to the conclusion. + The visuals are amazing just like the last games. + Perfect translation of this game. The care and love put into this project really shows. + Lovely and thrilling story with a true unexpected end. – Some minor bugs in the translation. – The game didn’t come over to the west. Such a shame! – The 5th case was a bit too long to my taste. So, I think this patch was really well done. They replaced all the voice work, the artwork and the text into English. Not only that, they made it bit more interesting to the Western audience. Besides from some minor glitches and one freeze, I think this game is really well crafted. While I played the beta version of the patch, I didn’t encounter any major issues that would stop me from enjoying the game. Besides the things I mentioned in the article of course. If only, they release this to the west one day. So, I can buy this game and that I can recommend this game to my readers. It’s really worth it! As any Ace Attorney game actually. So, I think it’s time to wrap this one up. Thank you for reading and I hope you enjoyed reading this as much as I enjoyed writing this. And I hope to be able to welcome you in another article. But until then, game on! This entry was posted in Reviews and tagged 001, 2, a, ace, adventure, annoying, attorney, capcom, coming, download, ds, edgeworth, emulators, English, europa, Europe, game, guilty, information, investigations, is, jea, Jonez, jonez001, jonezjea, miles, more, neko, NekoJonez, Nintendo, not, Of, on, opinion, own, patched, Path, piracy, Preview, prosecuter's, reason, release, review, rom, series, subtitle, text, The, tip, To, translation, two, unofficial, usa, walkthrough, west, why on August 22, 2015 by NekoJonez. First Impression: Fantasy Life (3DS) ~ Strangely Fun. I was very surprised that Level5 published a game like this. While I was silently hoping to a sequel of Professor Layton, or a spin-off, they published a game with similar graphical vibe. But don’t let it fool you, the fantasy and the life is quite different in this game. After playing 3-ish hours of it, it’s time to write an article about it since I’m quite enjoying myself. And as usual, feel free to leave a comment with your opinion on the game and or the content of this article. Maybe it’s only me, but this game gave me a Professor Layton feeling. At least, on the surface. Possibly the used some assets from the Layton game. But hey, let’s not think about the biggest series this developer created, in this article we are talking about Fantasy Life. This game must have been a nightmare to develop. Since all the different classes play differently. I’m quite curious if the overall story stays the same in the different classes. Also, the fact that you can change your class in mid game, is just mind-blowing and quite a risky move of Level5. I hope the game stays challenging and doesn’t make the mistake that The Legend Of Zelda – A Link Between Worlds made. That game was also more free then other games, yet the difficulty curve was off. While the story has some plottwists, I was able to see some coming. But I’m quite sure that to a child or a casual gamer, the plottwists might come more as a surprise. Overall, the writing is excellent. The characters can be a tad bit generic in some cases, but they are written so well that I had a few moments that made me smile, not only as a critic but also as a writer. I was on the fence for buying this game. I actually had it pre-ordered but cancelled my pre-order since I lost interest in the game. But now that I gave it a chance, I was quite surprised. The gameplay is nothing what I expected. If you aren’t doing a story quest, you can roam around freely and solve people’s daily needs. The quest system, while quite fun, isn’t 100% perfect. Sometimes quite important information isn’t in the quest log, the quest log is out of order and you can’t have a map where all the accepted quests are located. The quest logging could have been done better in my opinion. While I’m beating it, I’ll surely try out all features of the quest log. Maybe I’m overlooking some things and bashing it, while it’s not needed at all. You have three sorts of quests. Each give you a different reward. From dosh (currency) to stars (allow you to grow in your class) and bliss (expand the game.). The different quests yield so many different yet satisfying rewards that I explore the world in quite more depth then I usually would. Then my coin dropped. (Dutch expression for releasing something.) This was totally the designers intention to help you explore the world. It’s quite deep honestly. Apart from some aspects that is. At the moment of writing, I’m in the magic class. They actually passed on a great oppertunity for the magic combat. When you use fire attacks on forest mobs, they don’t increase the damage. Also, your mana replenishes so slow, it’s painful. And the quite expensive potions only give you 10 mana back. Yup, only 10 mana. And the free water bottles you pick up, give 5. That’s so not enough! So, the magician is long ranged combat. What I love about this game is that the target system works so nicely. I can easily circle around my enemy while trying to defeat it. If only there was an easier way to switch weapons. It would have been less of a pain when I would have been able to quickly switch to my dagger if my mana ran out. In the last section of this article, I want to talk about the overall game. 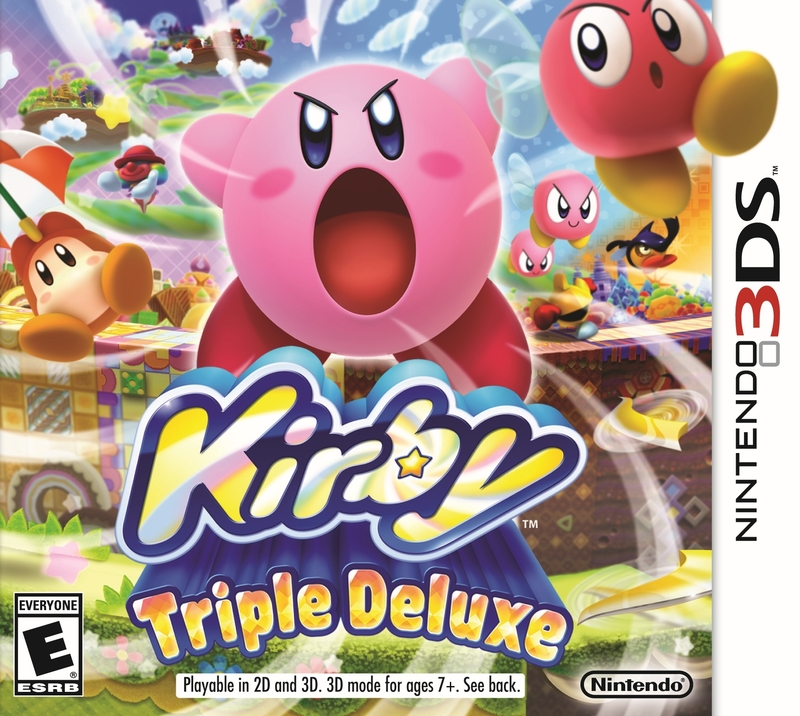 I can’t judge on the box and such, since I own this game thanks to the eShop. The game controls quite fine. While I sometimes have the impression that they switched some buttons around from similar games, I can easily adjust. Something I would have done differently is the icons on the touch screen. They take up quite a bit of space on the map. While it’s not a big deal, I honestly don’t like various icons on my map. I would have made a bar at the bottom of the touch screen with the buttons on it. That would have been way easier to organize. Speaking about the map mode, it’s quite handy. I can safely say that it helped me out of some tricky situations. It’s clear and you can’t get lost thanks to it. If only you were able to have an overview map. Since if you tap on the map button, you get an overview of the map of the whole game. Thankfully there are buttons to quick travel. Anyways, I’m nearing my usual article limit. So, it’s time to wrap this article up. I still have quite a lot to talk about, but I will keep that for my review if I beat this game. I hope you enjoyed reading this article as much as I enjoyed writing it. I can honestly recommend this game to you. Also, feel free to drop by on a later date! I try to publish an article each week. So, maybe until next week. This entry was posted in First Impression and tagged 001, 3DS, 5, about, adventure, america, and, animation, are, arpegi, article, asian, bliss, boxart, buttonsmashers, Class, developers, DLC, Europe, Fantasy, first, fun, game, impression, information, Japan, japanese, jea, Jonez, jonez001, jonezjea, level, level5, life, look, magician, more, neko, NekoJonez, Nintendo, on, Pre-order, Preview, quest, quests, review, screenshots, strangely, stuff, tags, The, weird on April 3, 2015 by NekoJonez. So, let’s not be creative and mind blowing. Oops, too late. Yesterday I posted a picture on my Twitter with my holding the box of this game. My apologies of the blurry image but my webcam isn’t the best in my gaming laptop. After playing it on college breaks and today, I finally got far enough to write my first impression. And my honest apologies to my buddy who had to cancel his pre-order. I had to zip my mouth about it and not brag about it. Well, brag… It was more like me not shutting up about the game here and there. I didn’t spoil him. I didn’t tell him about the Story. Yeah, intentional cap there. Anyways, let’s get this ball rolling. The first impression I wanted to write for months. Feel free to leave a comment with your opinion about this article and or this game. 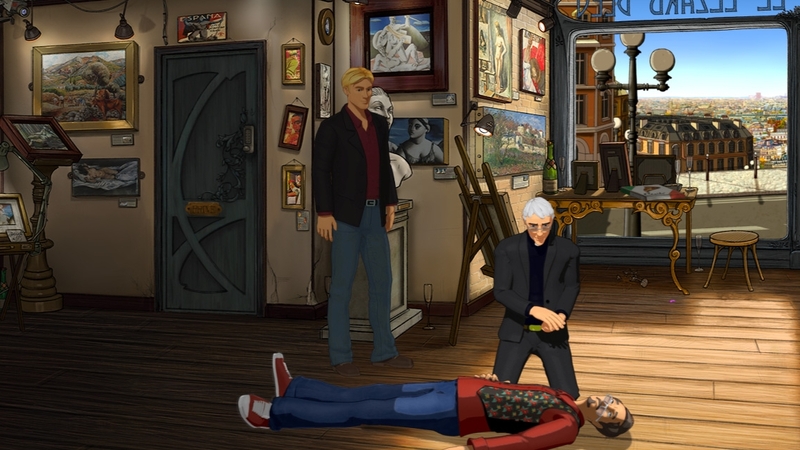 I apologize if you expected me writing in a style where I mixed a mystery or a puzzle with a court. Nah, I’m adapting my usual writing style for this one. Why? Because in the game the story is like that as well. While the Layton and Ace Attorney series are written in two completely different ways, the game mixes the styles prefect! Honestly, I have a special ability. Because I wrote so many stories and articles I’m kind of able to predict how a story or plot is going to end. I can’t predict each and every turn but I mostly see the outcome of a plot. But this game has me puzzled. While the game’s plot has some similar elements to a story I wrote once in my childhood, I can’t figure out how the story is going to go. The point that I’m trying to get across here is that the story blew me off my socks. While experienced writers can see some plot twists coming at the start, the execution and the writing is so well done, it catches you off guard easily. I won’t talk much about the story because I don’t want to spoil the fun. I’m mostly aiming this article at the people who need that last push to buy this gem of a game. And the story alone is strong enough to be a selling point for this game. The story isn’t weak or too far fetched for both universes and really fits nicely into the existing stories. This game, is just extremely good. First of all, I have to admit that the all puzzles in Professor Layton started to bore me a bit. Not that they are bad games, not at all. But I wasn’t pleased at the heavy focus on puzzles. I wanted to challenge my mind on another way. And this game nails that. With a smart switching system between the formula of Layton and the formula of Ace Attorney, this game is a blast to play. It was hard to put down because I find it has barely any flaws gameplay wise. But as a reviewer, I have to be fair and point out the mistakes they made on the gameplay front. First of all, the introduction of hint coins in the Ace Attorney system. This is a nice translation of Athena’s ability in the Ace Attorney – Dual Destinies game. But for now I can only see it as a way to spend your coins. I haven’t seen a moment how you can earn the coins in the Attorney sections. And honestly, that’s the biggest and only flaw I have seen now in terms of gameplay. There are some other minor flaws or missed opportunities. Let’s talk first about a big irritation I have with the game. Some lines are voice acted. While I would have done some voices with more emotion, this game has a big issue with deciding who’s line should be voice acted and which shouldn’t. There were parts at the first trail where only one character was voiced. Mixed with just dialogue boxes threw me off a bit. And the saving menu is a bit, lacking. Let me put it that way. You don’t have a delete save option. 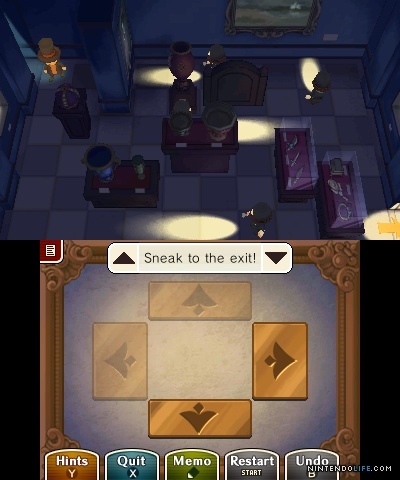 And they adapted the way of saving in the Layton games. I always had a major issue with that way. Don’t display a list as save slots. I truly think the PSP had a better way for this. To avoid saving in slot 2 by accident. So Layton’s puzzle addiction is finally integrated into the story. They don’t talk about “crack this puzzle and you can pass” things. They finally used “prove yourself with this test” and things like that. A huge improvement. While that’s not the only thing that got an improvement. The way how you can recap a story is an extremely nicely done feature. You can recap parts of the story as you please. It’s played out in a short scene so you are up to date again. And in the Layton sections, they “fixed” the controls. You can now explore the rooms with the d-pad and the circle button. Thank the lords for that change. Always having to use my stylus is not that handy when I’m trying to drink something. For example. It’s just convenience. And you can see how many hint coins or puzzles there are hidden in one area. I slow clapped to this change. One they should have done a long time ago. I read some articles about people not being so happy with this game. And I read some people who played the Japanese import. And I honestly disagree. This game is a blast to play. While this article is slowly coming to an end, I invite you to discover this game for yourself. I might not have talked about the music, controls, gameplay (bit more in depth), design, animation and difficulty… I promise that I will talk about those things in my review. I will say now that I barely have complaints about them. Thanks for reading and I hope you enjoyed this article. And now, I continue to play this game. Laters! This entry was posted in Articles and tagged 001, 3DS, ace, and, arpegi, attorney, bad, blown, buttonsmashers, capcom, coins, date, Europe, finally, good, hint, how, in, is, it, jea, Jonez, jonez001, jonezjea, layton, level5, locations, mind, misleading, neko, Nintendo, opinion, own, Phoenix, Preview, professor, release, release date, review, tags, To, what, Wright on March 28, 2014 by NekoJonez.